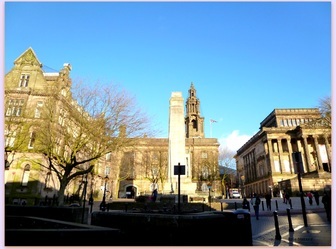 To follow what I have written in the article A sunny day, I will talk about the day we spent, Amandine and me in Preston. It was the first town I visited after Lancaster since I was in the UK, and Preston seemed to be very bigger than Lancaster which has almost 46 000 habitants! I got up at 7.15am in order to be behind the Lancaster City Museum at 8.30am, where Amandine waited for me. We took the train to Preston at 9.12am. 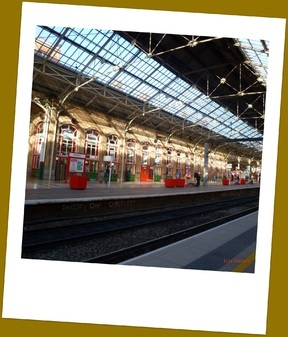 We arrived in Preston rail station 15 min later. The station is very big! 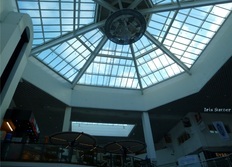 As we had time before our appointment to get our insurance number, we went to the Fishergate Shopping centre which is in front of the station. After we had to ask for directions because there were not a lot of direction signs at the output of the station ! We arrived in advance in the Jobcentre where we had our appointment. We just had to answer a few questions about us, our identity, our study and what job we want to do in the UK. However it didn't look like an evaluation, and we will get our insurance number in two weeks. 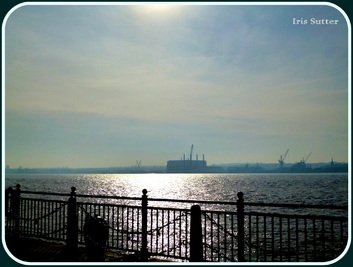 We were lucky, this day were sunny and we enjoyed the blue sky. 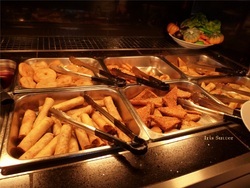 At noon we rushed to a big Chinese buffet . It was very nice and the restaurant was very big and beautiful. 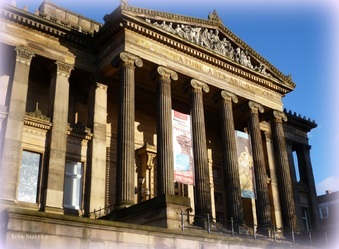 Then, we visited the city centre, did shopping again and we were in the Harris Museum & Art Gallery which is a beautiful building with paintings, objects and explanations about Preston history. In this bulding there are also activies to do with children and on one part of the museum we can dress up with clothes from the 19th or 20th Century! As the museum closed at 5pm we left it and headed to the rail station crossing one last time the city centre and Fishergate Shopping centre. 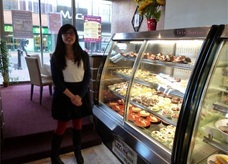 I went twice in Liverpool with another French student (Amandine). 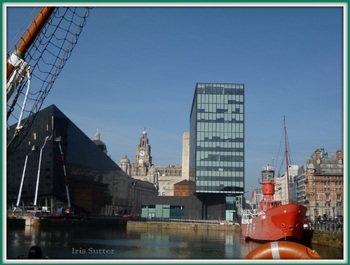 The museum of Liverpool is quite "young" because it juste opened in July 2011 so only two years ago! It explains the history of the town and shows how was Liverpool in the years before with some reproductions, for example, an old train was reproducted in the museum. After, we saw an exhibition about the Titanic and the International Slavery museum which is situated on the top floor of the Maritime museum. 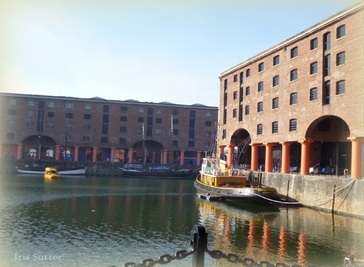 When we left the museum we passed through a pretty sunny place, Albert Dock! 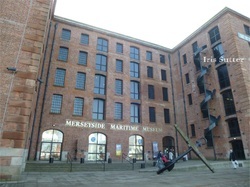 Albert Dock dates from 1837, it was designed by Jesse Hartkey and Philip Hardwick. The construction took 9 years as it opens in 1946. For the first time in Britain, the structure was built from cast iron, stone and brick, without stuctural wood. It serves today of tourist attractions and provides variety of restaurants, souvenirs shops, and museums like the Maritime Museum. 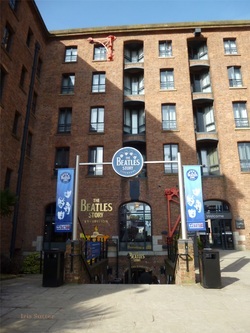 Then, it was the visit of the Beatles story! 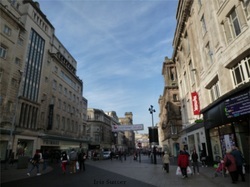 There was, of course, the moment for shopping because Liverpool provides a many of big clothing stores! 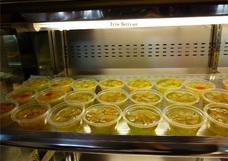 And it was very difficult to resist! 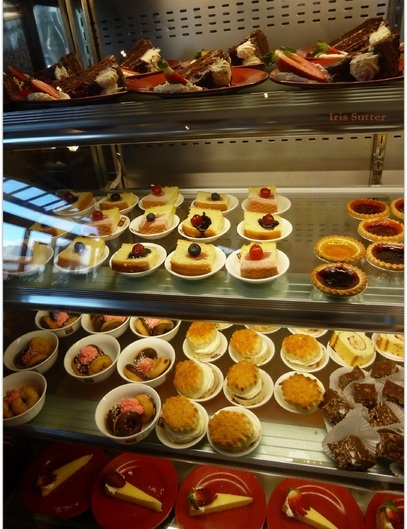 ^^ We can find several shopping centres and shopping streets, among others, Liverpool One shopping centre, St Johns Arcade and Paradise street. 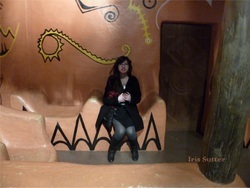 The second time I went to Liverpool was to visit the Anfield stadium and museum. The stadium opened in 1884 and today is the stadium of the famous football club Liverpool FC. 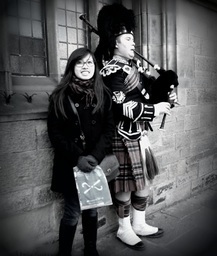 I went to Edinburgh for the Easter break, with Amandine again! We expected to stay for 2 days and one night but it wasn't what it happened. 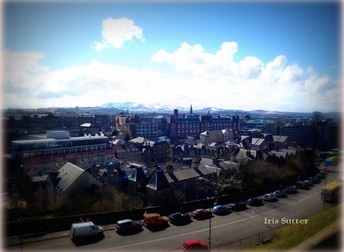 We left Lancaster by the railway at 8:40am to arrive in Edinburgh at 10:20, in order to enjoy the full day in there. The check in started from 2pm, we could only put our luggages in a locked room in the hostel. So we were free to visit the city the whole day without being embarassed with it. Edinburgh is a beautiful city, buildings are very nice, streets are wide and as we arrived on Thursday, they weren't so busy. I really enjoyed walking through the streets of Edinburgh. The first day we visited the St MARY's Cathedral and the castle. It was nice but I was a little bit disappointed to have paid 16 pounds to just see the court of the castle. There did be a museum and a room dedicated to the history of the prison. But I expected to visit some rooms in the castle to see how the bedroom, the bathroom, or the throne hall were! And I was surprised to see a cemetery for dogs within the castle! 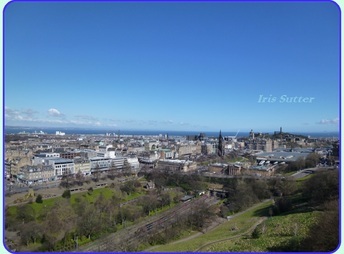 However, the castle provided a magnificent view of the city of Edinburgh, the seaside and the mountain side. And obviously it is always impressive to be able to walk through a building which served long ago of stronghold in the Fierce Iron Age, home of Royalty, and Army headquarters. Indeed its location on a great rock is a perfect strategic location. 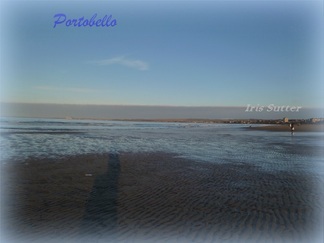 Later in the afternoon, we got lost while searching the beach and we went back to the hostel without having found it. The hostel was a really nice place and I found the staff friendly and helpful. We slept in a dormatory of 8 beds for females. But actually we were only 6 girls in it. We were so happy to see the seaside that we forgot the time and missed the train we were supposed to take. Unfortunately it was the latest train for the day.